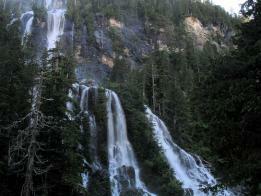 The Alberni Valley is home to the tallest waterfall in North America. 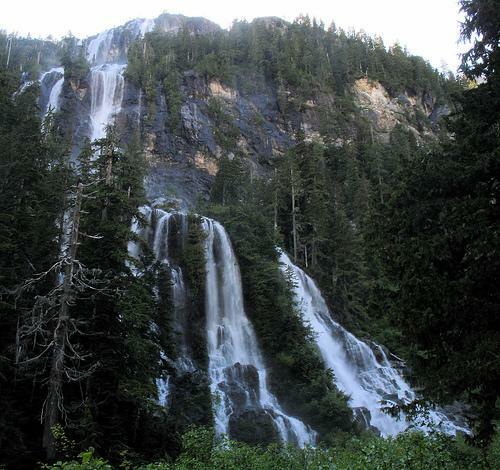 At 440 metres, the majestic and stunning Della Falls cascade from Della Lake into the dense, old-growth forest below. The seven hour, sixteen kilometer (one way) intermediate hiking trail from the head of Great Central Lake along Drinkwater Creek was originally built by trapper Joe Drinkwater, who named the falls after his wife Della. Hikers will cross over sand, stone and a heart-pounding suspension bridge takes you from rainforest to sub-alpine terrain, rewarding you with a spectacular view of the falls at journey's end. 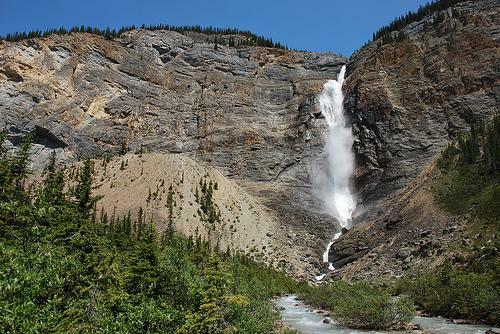 Unless you have access to a helicopter the only way to reach these magnificent falls is by crossing the Great Central Lake. The boat dock marks the beginning of Strathcona Provincial Park and there is a camping area if you want to make it an overnight visit. Needless to say, this is no hike for beginners. 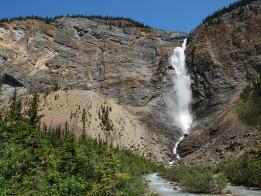 Although it does not take any sort of experience to appreciate the 16th largest waterfall in the world! Canada in general offers an extremely high standard of accommodation and nowhere more so than at the Hummingbird. The quiet efficient manner in which you cater to your guests every need.